A big smile and a huge wag of a tail will be your treat for adopting a senior cat or dog. Consider giving a senior pet a home in their old age, they come with such character and still have years of love and devotion to give to their very lucky owners. The RSPCA waives all adoption fees for folks willing to give dogs and cats aged 10 plus a new home. In addition Senior pets adopted from the RSPCA receive a 25 percent discount on consultation fees at RSPCA Victoria vet clinics for the entire life of the pet! The Lost Dogs Home waives all fees for senior dogs or cats aged over seven at their North Melbourne shelter. Instead of an adoption fee, adopters are able to make a donation to help support the care of senior pets without a home. This program was established to encourage those looking to adopt a dog or cat, to consider one of their older shelter residents. The Animal Protection Society has a Golden Oldies program where the adoption fee will vary depending on the health and age of the cat or dog. Most older pets are surrendered to the shelter for a variety of reasons such as owners death or admission into a nursing home. Most times they generally have four oldies as permanent office dogs. The Dogs Home Refuge in Western Australia has a Senior for Seniors program that aims to support the re-homing of refuge dogs over seven years old with older people or retirees who may want the companionship of an older dog. Through the Senior for Seniors program they aim to find the perfect match for companionship. Currently the Lost Dogs Home have a beautiful senior cat called Lily looking for a new home. She is eight years and two months old. Lily is a bright and active cat who loves to explore her surroundings and search for something fun to play with. She enjoys a pat and is happy to share her space with a family of almost any size, big or small. 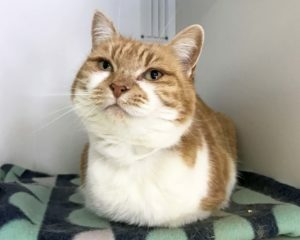 The RSPCA have two felines wanting a new home say hello to Casey who is aged 10. He is perfect for a mature family and loves a regular brushing to look his very best. Give Milly a pat who loves to take it easy and relax. She is a cool independent puss that prefers an mature owner.